College of Medicine at Roseman University of Health Sciences has appointed Victoria VanMeetren as special advisor to the dean for community engagement. VanMeetren was CEO of the San Martin campus of St. Rose Dominican Hospitals from 2006 to 2014, serving in the role during the hospital’s construction and growing operations. She is a registered nurse and holds an MBA degree. Boyd Gaming Corp. appointed Paul Whetsell and John Bailey to its Board of Directors. Whetsell is president and chief executive officer of Loews Hotels &Resorts, owner and operator of 22 upscale hotels and resorts across the United States and Canada. Bailey is managing partner of Bailey Kennedy, a Las Vegas law firm specializing in corporate and gaming law. He has more than 30 years of legal experience, with a focus on commercial corporate litigation, health care law and gaming law. 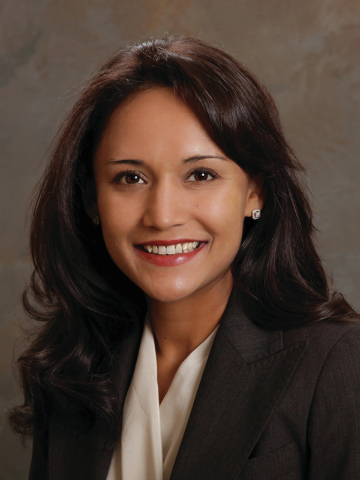 Duane Morris promoted Manita Rawat of the Las Vegas office to the firm partnership. Rawat practices in the area of intellectual property law and litigation. As a registered patent attorney with the United States Patent and Trademark Office, she has significant experience in patent preparation and prosecution, working primarily with mechanical, aerospace and software technologies. She also has significant experience with trademark and copyright prosecution, patent and trademark litigation and commercial litigation. Todd Michaels was named director of business development for Aid for AIDS of Nevada. In his role, he will engage new corporate relationships to help support the nonprofit organizations’ services for Southern Nevadans living with and/or affected by HIV/AIDS. Michaels is also heard nightly on 102.7 The Coyote (KCYE-FM). Create A Change Now, a local charity teaching at-risk students to plant, grow and cook fresh, healthy meals in order to prevent childhood obesity, added three new positions to the organization. Melissa Blynn, who had been COO of the organization, becomes executive director. She will provide leadership and management for all programs and fundraising efforts as well as oversee the strategic and operational functions of the nonprofit. Former board member Mindy Tatti will serve as development director. Julie Sanders has joined the nonprofit as program manager. Aimee Wenske joined Forté PR as social media manager. Also, Erica Ramos joined the firm as public relations and social media assistant and Veronica Kawka was promoted to account executive. Wenske will manage the social media initiative for clients. Kawka, who joined the agency in early 2014, is the point person on Forté’s local accounts. Ramos supports the public relations and social account teams by conducting research and generating media analysis. ERA Herman Group added JoAnne Hendrix and Gary Ulrich to its team. Hendrix has a background in management and leadership. Ulrich has experience in residential real estate, property management and several additional professions.